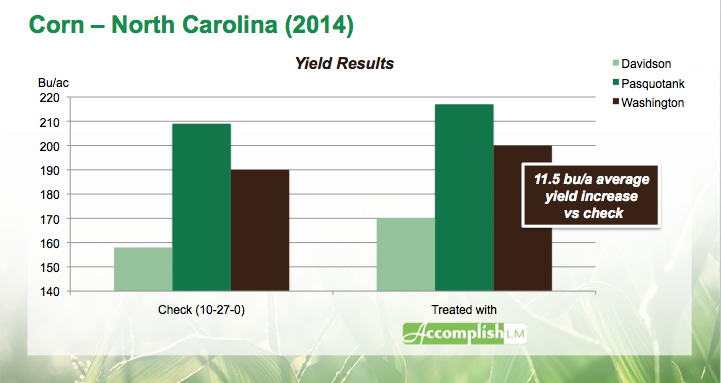 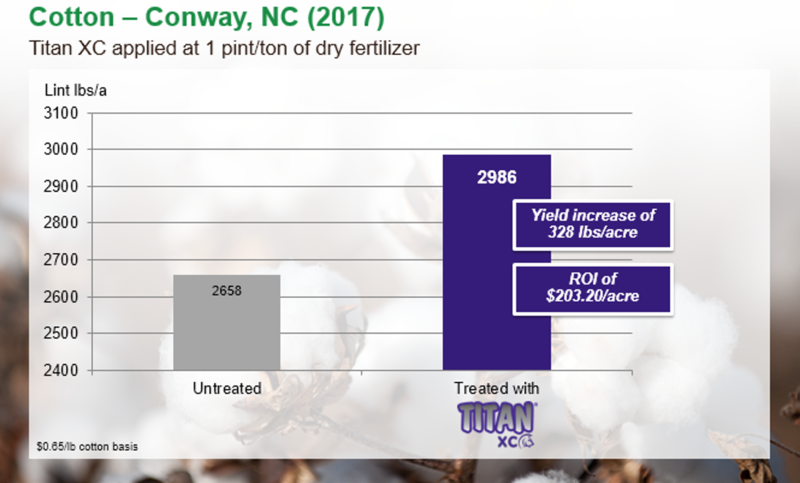 Trial results from North Carolina show how Accomplish LM can offer growers wheat yield gains when broadcast in the spring. 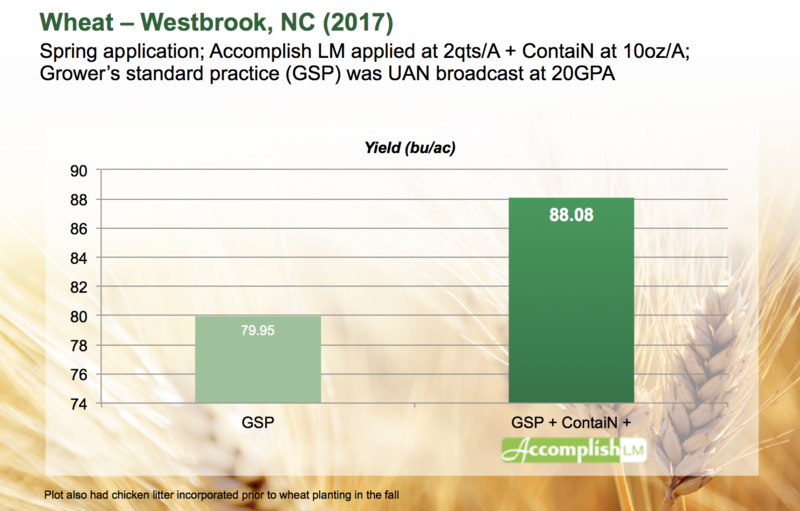 In a wheat trial conducted last season, Accomplish LM was applied at 2 quarts/acre in the spring along with a nitrogen urease inhibitor and UAN broadcast at 20 gallons/acre. 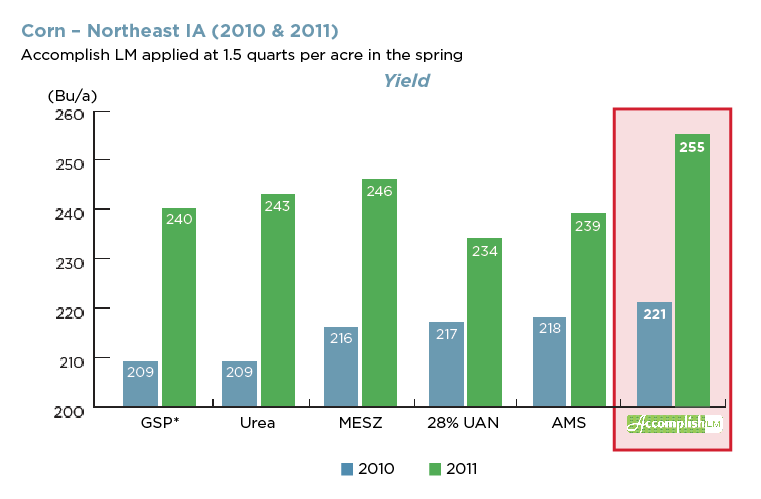 The treated part of the field showed a wheat yield increase of 8.13 bushels/acre, compared to no treatment (UAN alone).